The Honeywell 748 is a dual tone, indoor/outdoor hardwired alarm siren. The 748 is a great addition to any compatible Honeywell wired or hybrid security system. When in alarm, the 748 self-contained siren puts out an extremely loud 119db output that will scare away any intruder. The fully tampered and weather-resistant 748 mounts directly to a 4" electrical box or wall, thus eliminating the need for a cabinet. 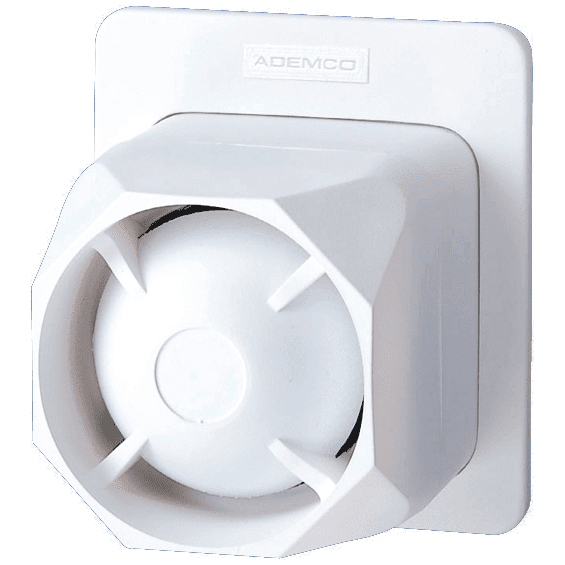 With a compact design, the 748 is an attractive siren that is easy to install indoors or out.